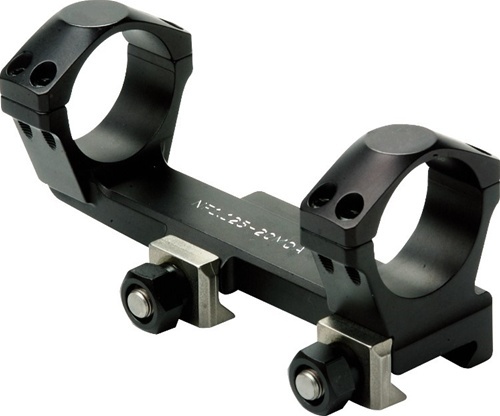 The Nightforce Unimount is designed to remain on the scope at all times, allowing quick removal of the scope or interfacing with different firearms. It is the most accurate Picatinny Mil. Std. 1913 mount available, incorporating a built-in 20 M.O.A. taper to maximize long-range capability. The Unimount is the ultimate mount for attaching to weapons with an integral Picatinny flat top-type receiver. Precise tolerances ensure that the riflescope is not subjected to stress, strain or bending as the ring screws are tightened. CNC machined from 7075-T6, the Unimount is finished with a matte black coating.